At this time of year, as autumn slips into winter, I sometimes feel as if I’m entering a dark tunnel, but beyond the bare soil and branches I know that spring is just biding its time and there will soon be new growth. This December some flowers are way ahead of themselves. The winter honeysuckle is already blooming and just needs a mild day to surprise us with its fragrance and primroses are out in the meadow. A couple of weeks ago, Sheila and I visited an inspirational community gardening project at the Oasis Centre in Worksop. Pastor Steve Williams apologised for the apparent lack of flowers and produce. “But we’re gardeners,” we said, “we can see beyond the bare soil!” Our time there was really fruitful. We plan to collaborate in the future and came away with a lot of new ideas. At a recent Under‐Fives session, we enjoyed garden crafts with the youngsters. Helichrysum (or strawflower) are generous plants that provide beautiful dried flowerheads. 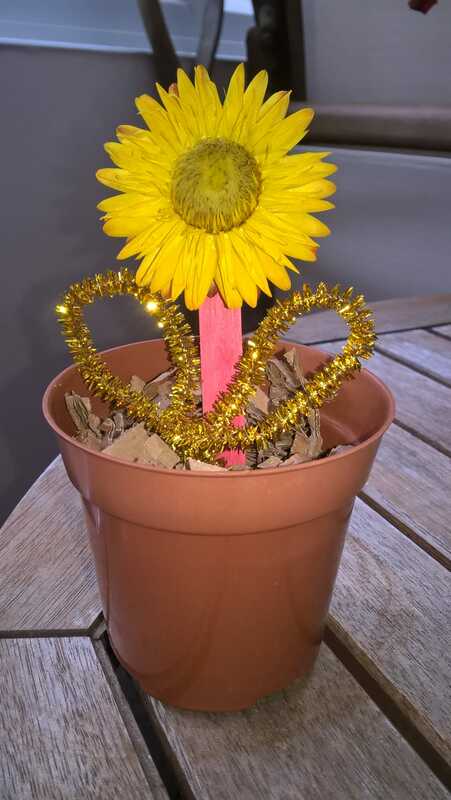 With a lollystick stem, pipe cleaner leaves and playdough soil the children made lovely pots to take home. The sunflowers that stood sentinel round the garden in the summer are also productive plants and the dried flowers are full of seeds to feed the birds and to save for next year’s planting. 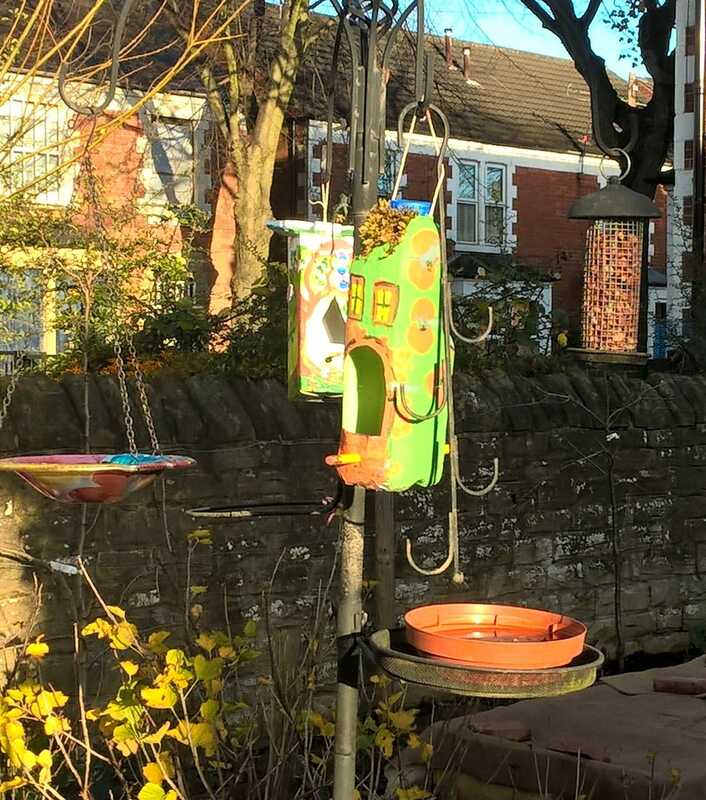 We enjoyed popping out the stripy seeds and filling bird feeders made from recycled drinks cartons. There is never a dead time in the garden. Life just goes underground for a bit, storing up its energy to be reawakened by the warmth of the sun. One of our plans is to make a wildlife pond from an old sink or barrel. You can be sure that once it’s in place it will be seething with life in next to no time. Watch this space!! 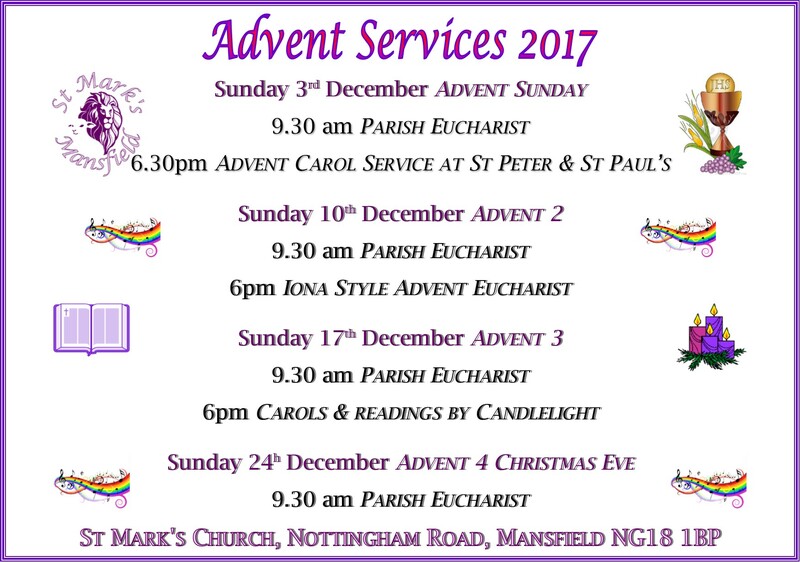 Categories: Christmas, St Mark's Church Family, St Mark's Community | Permalink. 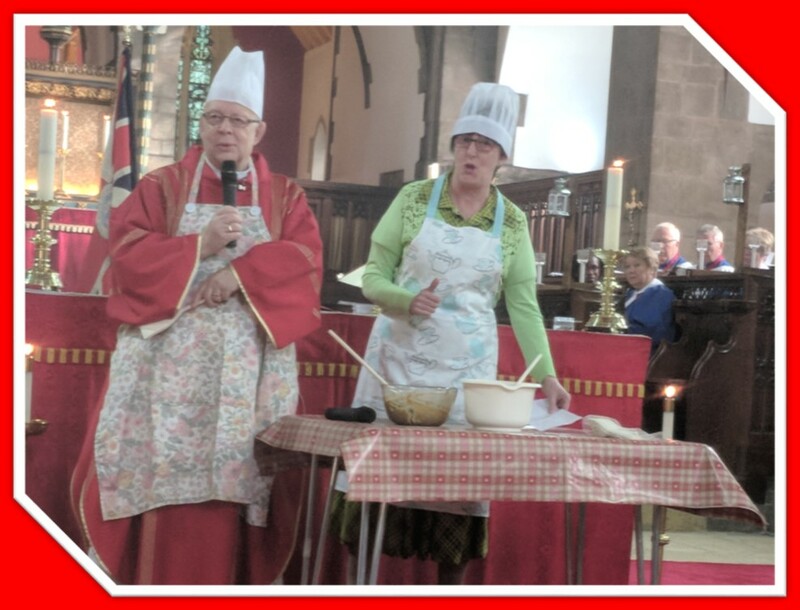 Thank you to Fr Michael Dobbs and Joan Fletcher for helping us celebrate Stir up Sunday at the end of Mass by making St Mark’s Christmas pudding. The Christmas pudding (now cooked by Joan Fletcher) will be one of many prizes in a raffle for the benefit of St Mark’s young people. This is the idea of Doreen Hall (who has provided most of the prizes). Tickets will be on sale after Church this and next Sunday morning. The raffle will be drawn during the refreshments on 10 December. 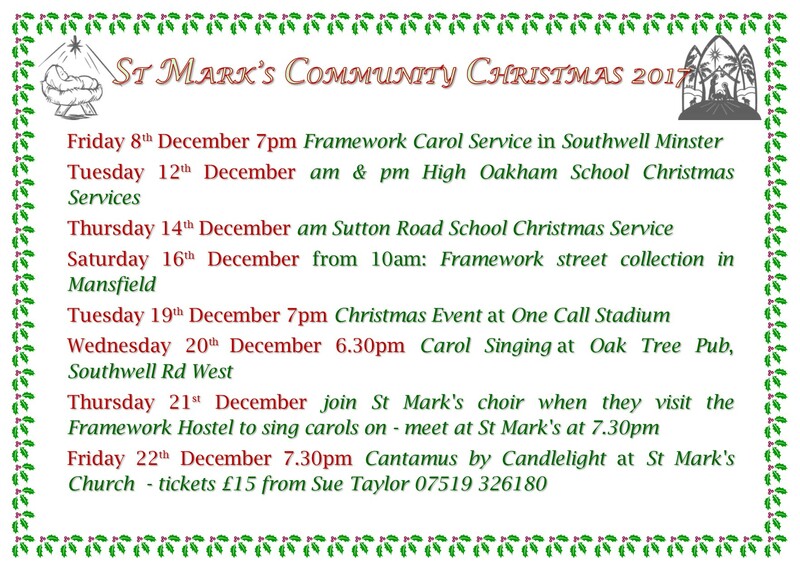 Please buy tickets to support our work with St Mark’s young peoples.